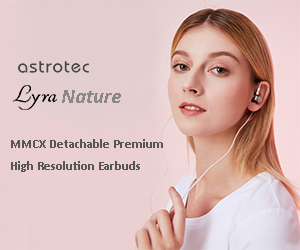 Included: W60 universal IEMs, Silver plated copper cable, Westone BT v1 cable, 5 pair Star silicone and 5 pair True-Fit foam tips, exchangeable metal faceplates, medium premium carrying case, 2 year warranty. W60-2 steps up from W40-2 tuning to the next level with the following changes. The soundstage is wide and has a good out of your head depth expansion, being wider than W40-2. 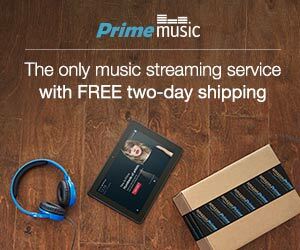 Low end sub-bass rumble goes deeper, sounds more textured, and mid-bass adds more to the punch, with an overall bass impact being more elevated and hitting harder. Lower mids have a nice body but still closer to neutral, and upper mids are more resolving, more detailed, more layered, but still smooth and natural; with a slightly pulled back presentation, a little less forward in comparison to W40-2, perhaps due to a more elevated bass impact. The treble is well defined and well controlled, not as crisp as W40-2, sounds even more natural. Overall signature is nicely balanced, more W-shaped here. W60-2 with Silver-plated vs Epic cable – Similar consistent difference as I have found in W40-2 comparison, where I’m hearing a soundstage being a little wider with SPC cable and mids/vocals sounding a little more revealing. Also, in this comparison SPC cable gives a perception of a blacker background. W60-2 vs W60-1 – I hear a very interesting change here, something you don’t appreciate as much until you compare one to the other. W60-2 soundstage has a wider perception, perhaps with a help of SPC cable, but either way it’s noticeable. Bass in W60-2 sounds tighter and more controlled, especially the transition into lower mids where I’m hearing W60-2 mid-bass having a faster/shorter decay, while the original W60-1 spills a little bit into lower mids. Mids is where I hear the biggest difference, with W60-2 being more neutral and more transparent while W60-1 being thicker with more body. As a result, W60-2 sounds less colored, more resolving, a little less laidback, but still natural in tonality. In comparison, the upper mids/vocals of W60-1 sound warmer, not as resolving, and a little more pulled back. Treble is identical here. The difference is quite noticeable in this comparison, especially when listening to vocals where W60-2 sounds more resolving, less colored, more audiophile quality tuned. W60-2 vs Pro50-2 – I thought this might be an interesting comparison as well. Soundstage expansion here is very similar, in both width and depth. Bass is very similar in quality with both having a deeper rumble and stronger punch, but Pro50-2 has even stronger impact, hitting harder, while W60-2 bass is a little more relaxed. Mids are very similar, the same closer to neutral lower mids and resolving more transparent upper mids. Treble is where they differ again, with W60-2 being a little smoother and more controlled, while Pro50-2 being brighter and with a little more sparkle. As a result of these differences in bass and treble, W60-2 is more balanced while Pro50-2 is more v-shaped. Included: W80 universal IEMs, ALO Reference 8 hybrid cable, Westone BT v2 cable, 5 pair Star silicone and 5 pair True-Fit foam tips, exchangeable metal faceplates, large premium carrying case, small premium carrying case, 2 year warranty. W80-2 is still at the flagship level of performance, but the gap between W80-2 and retuned W60-2 is a little closer now. The soundstage of W80-2 is quite wide and has a nice out of your head depth, the sound just wraps around you, but still has a realistic spacing/imaging. Bass extends deep with a nice level of rumble, has a strong articulate mid-bass punch, and overall low end is well layered and controlled, with a faster attack/decay speed in comparison to W60-2. Lower mids are a little north of neutral, with a little more body, but still giving enough room for upper-mids to be transparent, more resolving, more layered, and still sounding natural and detailed. Upper mids of W60-2 are now closer to W80-2 in tonality, but W80-2 is a little more forward, giving W80-2 a more refined W-signature. Also, W80-2 mids/vocals have a better technical performance with more air between layers of the sound. Treble of W80-2 is well defined, crisp, detailed, more extended and airier, a little crisper and with more airiness in comparison to W60-2, while still being non-fatigue. 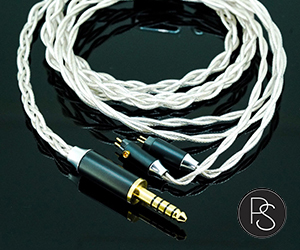 W80-2 vs W80-1 – these sound identical, like a carbon copy when compared using the same Ref8 cable, the same eartips, playing from the same source, and with the same song. Thus, for any additional W80-2 sound performance info you can refer to my original W80 review which is still relevant. 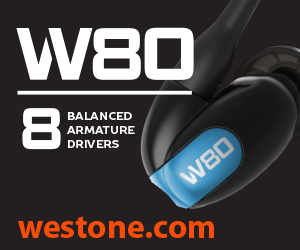 No doubt Westone was overdue for W-series refresh, though the company still likes to maintain their signature house sound without extreme deviations, unless they switch to a new series like B30 and B50. Thus, you will not find big changes in v2 updates of W10, W20, and W80, especially since that flagship was introduced only a few years ago. On a contrary, the v2 update of W40 and W60 was a pleasant surprise, and W60 now bridges the gap with W80 a little closer. 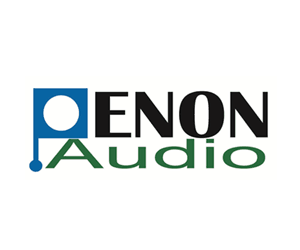 But nevertheless, refined tuning of v2 W40 and W60 will still appeal to those who enjoyed their original sound and will probably get the attention of audiophiles who might have overlooked it in the past. But in my opinion, the bigger change here is Westone trying to raise the value of their products by including Bluetooth wireless cables, metal faceplates, and new silver-plated cables in various models, while still keeping their original price. 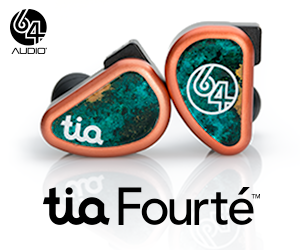 When the time comes to replace your aging in-ear monitors, raising the value while keeping the price unchanged is what keeps your loyal customers coming back. At the same time, the perfection of fine-tuning and the introduction of new models is what brings in fresh customers. Maybe Westone is 60 years old, but the changes I have seen in the last few years are definitely in the right direction to stay relevant in this very competitive market.